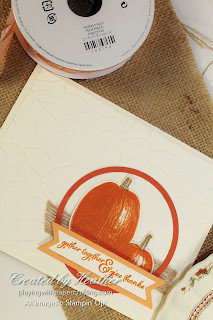 Playing with Papercrafting: The World's Biggest Klutz Tries to Speed Stamp! The World's Biggest Klutz Tries to Speed Stamp! 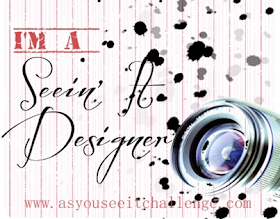 It's As You See It Challenge Friday today, and we have an unusual challenge for you this week! 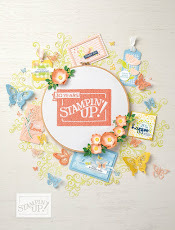 It's a Speed Stamping Challenge. Now, there are two things you need to know about me - 1) I'm the World's Biggest Klutz [well, maybe not, but close!] and 2) anytime I have to be timed to do something, my stress level skyrockets! 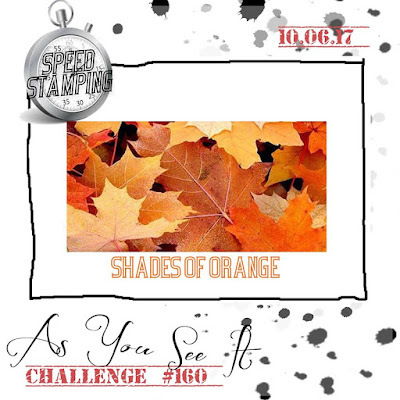 So you can image my trepidation when I had to make my Design Team sample card for this week's As You See It Challenge #160! 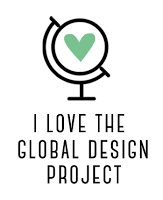 So for this challenge, you can conceptualize your card ahead of time (in your head or in a sketch on paper) and you can gather your materials ahead of time, but once you start working on it, you have 10 minutes only to complete your project! You also must use only shades of orange and neutrals in your card. 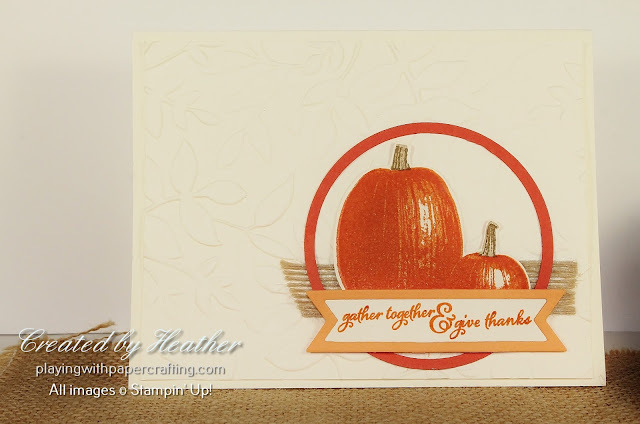 My premade element, left over from another project, the pumpkins, are from the Gourd Goodness stamp set and 2 step stamped in Tangerine Tango and Pumpkin Pie! The stems are Soft Suede and Crumb Cake. If I had had to 2 step stamp and fussy cut them today I probably wouldn't have finished in time. 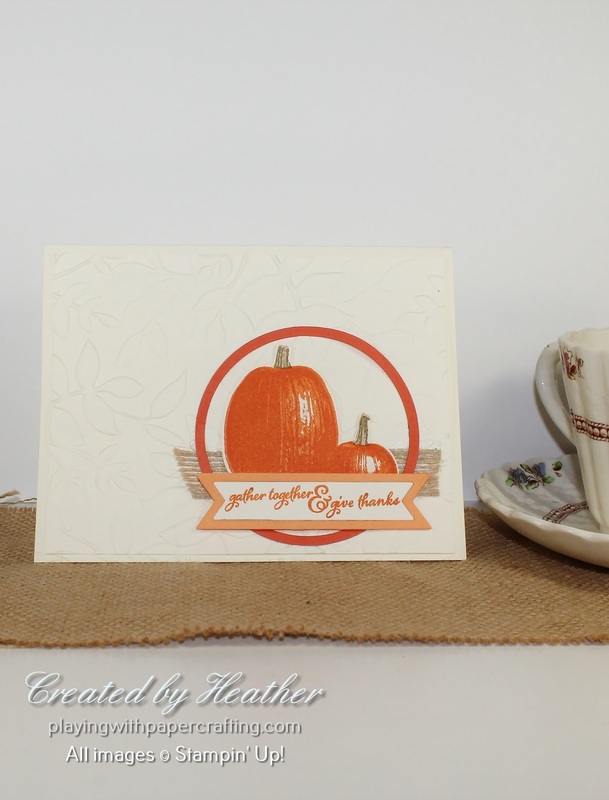 The front Very Vanilla panel is embossed with the Layered Leaves Dynamic Embossing Folder. What took the longest was the sentiment and the ring. I stamped the sentiment from the Painted Harvest stamp set in Tangerine Tango, then I had to die cut the flag twice, once in Very Vanilla with the sentiment and once in Peekaboo Peach so I could get the border to go around it. I held the two pieces together with mini dimensionals, which was all I could find in my panic. Regular dimensionals would have been better. The ring is made by using the largest Layering Circles die to cut out a circle and then putting in the next largest die and centering it within the larger circle to die cut the narrow frame. A piece of Burlap Ribbon forms the banner behind the pumpkins. I wasted some time stamping one using the long texture stamp from Timeless Textures, but I cut myself on the Stamping Trimmer (first time ever) trying to whittle it down to size, and with no time to get a band-aid, I then also had the worry of getting shades of red on my project! Also during this ten minute time period, my phone, which had remained silent for most of the day, rang twice. I ignored it the first time, but it was insistent the second time, and it turned out to be my hubby, who didn't get the response he was quite expecting!! So all in all, it was a highly stressful experience, and when I get stressed I get extra-klutzy - hence the cut finger, and all thumbs as I tried to assemble my project. That being said, it turned out not half bad for a 10 min project that I completed, I think, in just under 10 minutes at 9m56s, when all the interruptions were accounted for! So why not put yourself through the wringer, and see if you can do a card in 10 minutes. I would recommend keeping it simpler than mine though with fewer layers perhaps! 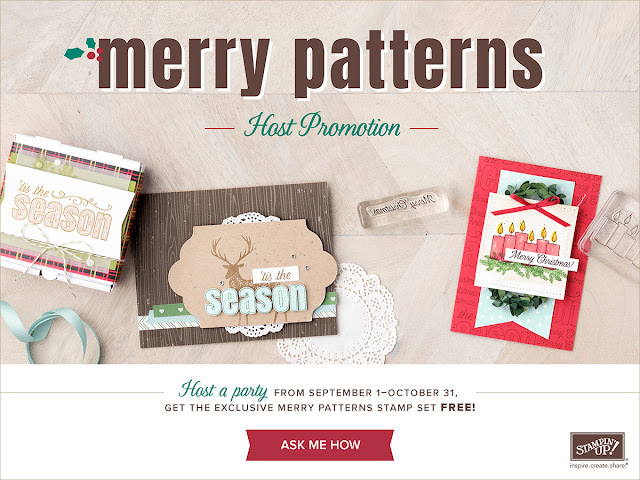 This promotion ends soon! 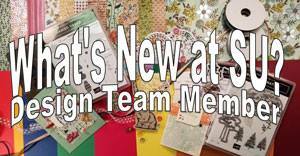 Get 15% off Notecards and Envelopes and selected stamp sets to celebrate World Card Making Day! The Fast Fuse that was part of this promotion has been sold out!! In fact, two years worth of applicators and a decade's worth of refills sold out in just 5 days! It's just a reminder to act quickly when you see a good deal! 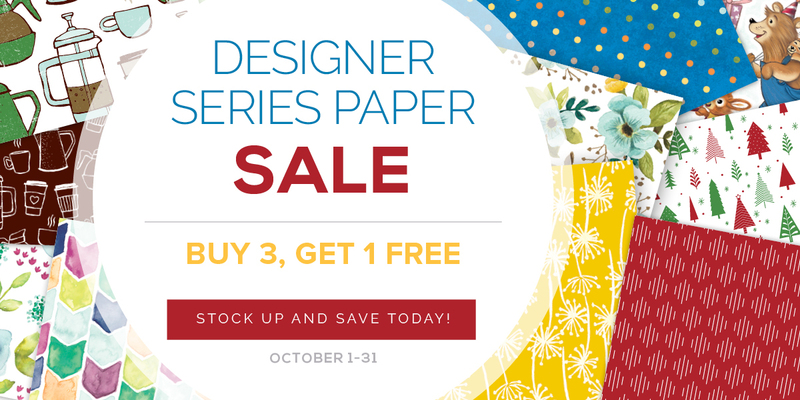 Have you been waiting for this sale to get your Designer Series Paper for the year? You have until the end of October to stock up - buy three selected packages and get one free! Book a party of some kind with me and earn this amazing stamp set on top of all your regular rewards this month! My time is booking up, so contact me soon! Make sure you are subscribed to Paper Pumpkin by October 10 so you can get in on these back-to-back October-November Paper Pumpkin kits that will have coordinating Christmas projects, one each month, designed to help you with your holiday preparations! Practical, but fun and creative!